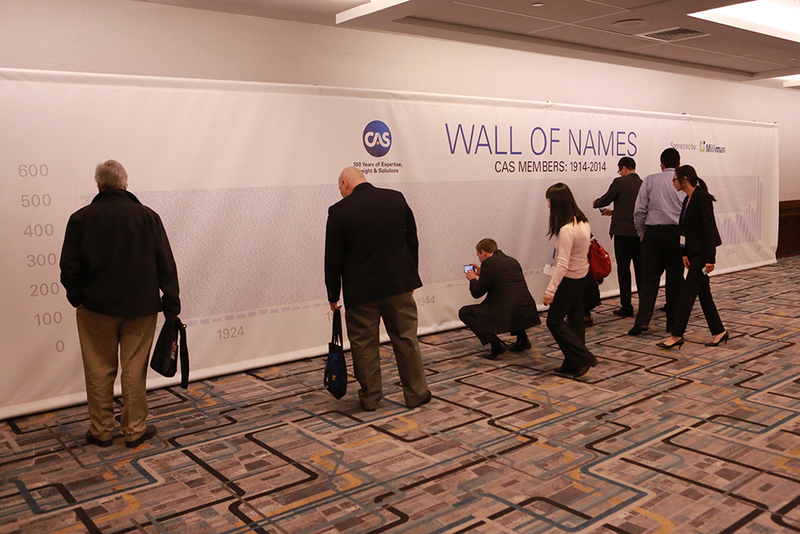 The CAS Wall of Names lists every person who has ever earned CAS credentials – over 7,300 names! The banner, which was over 40 feet wide, was on display in the Exhibit Hall at the CAS Centennial and Annual Meeting. 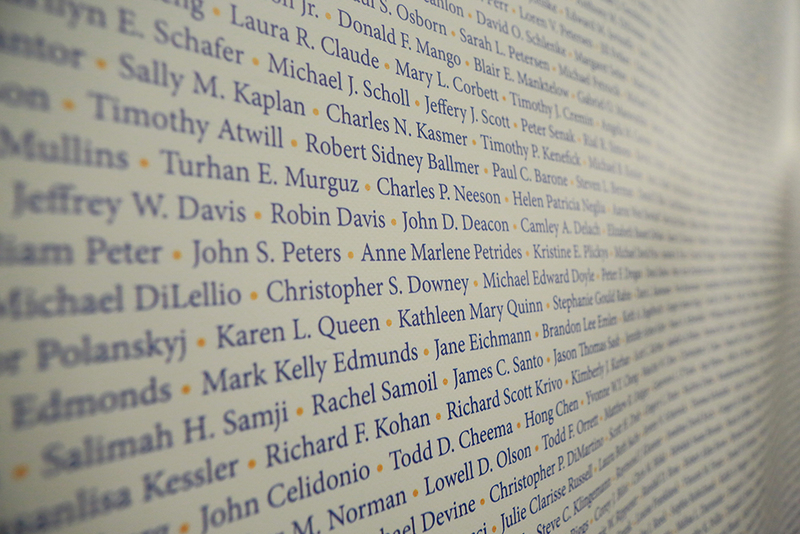 The names run horizontally (as one would read a page) and are organized by year of highest designation, then alphabetically by last name within that year. 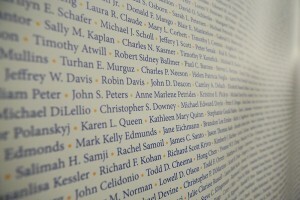 2) Locate your name (alphabetical by last name) within the year. Years run horizontally, as one would read a page. 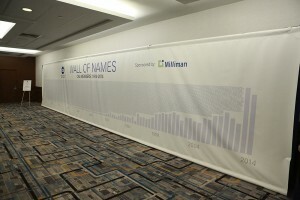 The background graph represents the number of new members per year, over the course of CAS history.